How to download any RaiTV video or audio from raiplay.it? Get Bigasoft RaiPlay Downloader to batch download video or audio files from raiplay.it for offline watching. How to unblock RaiPlay.it to enjoy videos outside of Italy? Do I have to be connected to the internet in order to watch videos on RaiPlay? Trying to batch download RaiTV series from your favorites list in HD? If you have installed Rai TV APP on your Android or iOS smart phone or tablet, you are able to create your own list to watch some RaiTV content offline while you are on the go. However, how to capture or download videos from raiplay.it to play with other players on Windows, Mac or TVs, like QuickTime, iTunes, Windows Media Centre? In this guide, we will show you an ideal RaiPlay Video Downloader - Bigasoft Video Downloader Pro and direct you a simple way to download any RaiTV video or audio for playback offline with any player and unblock RaiPlay videos to enjoy outside of Italy. Firstly, free download Bigasoft Video Downloader Pro and install it. There are two different versions for Windows and Mac users separately. And both versions are fully compatible with the latest OS. Download any video or audio from raiplay.it and more than 1000 other sites, including YouTube, Facebook, Vimeo, Dailymotion, VEVO, BBC, etc. Batch download and convert HD videos at up to 10x normal speeds. Save RaiTV streaming to compatible format for any player, such as MP4, MOV, VOB, WMV, WTV, AVI, H.264, Xvid, ProRes and more. Capture, record or rip online live streaming and save it to MP4 with build-in video recorder. Convert and merge F4F or F4M files to MP4. Easy to increase or decrease audio volume, cut downloadings or extract audio from video. Search for the RaiPlay video which you like to download, and then copy the URL of that video to the URL box on the main interface of Bigasoft RaiTV Downloader. Click "Save Folder" button to choose the destination folder for the downloaded RaiPlay video. 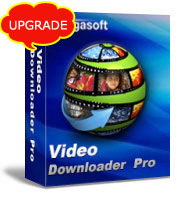 Bigasoft Video Downloader Pro will save the video in its original format to keep the best quality. If you prefer to download and convert RaiTV video or audio to other formats, just check "Automatically Convert to" option and choose your desired output format from the drop down menu next it. After all settings are done, click "Download" button to start the RaiPlay downloading. From Activity panel, you can check the downloading process. After a few minutes, the RaiPlay video will be downloaded and converted to destination path. Besides downloading videos from raiplay.it, Bigasoft Video Downloader Pro also helps to convert almost all the online videos as well as local videos to be compatible with any of your player. Download and enjoy it now.